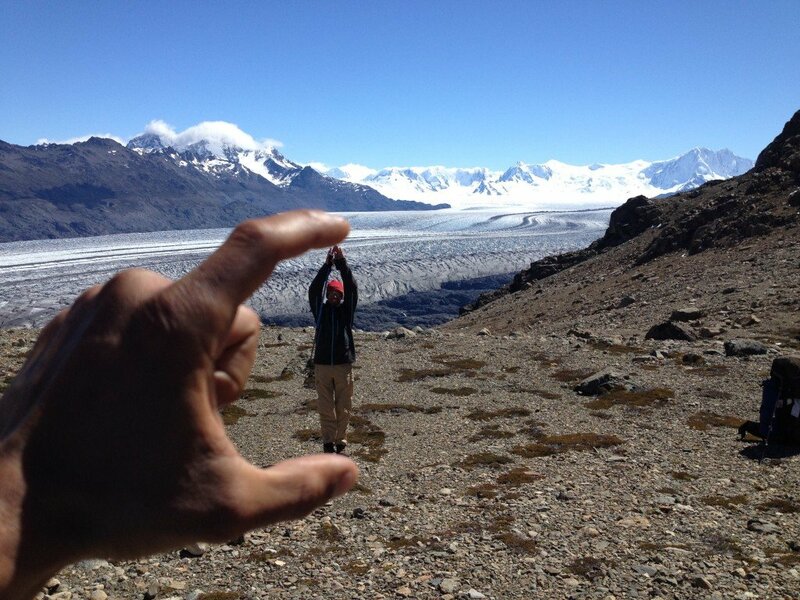 I was very happy that I planned my trip through Swoop Patagonia and their partners. It was very useful to go through Swoop, as it can be complex booking refugios yourself, particularly when you need certain refugios on certain dates, and in theory there is no availability for 3 consecutive nights (at least I didn’t find any through other companies). Booking with Swoop is also particularly useful for people who have limited time, it is helpful to have the trip planned by someone else. How were Swoop’s partners in Chile? Swoop’s partners who organised my W Trek were very patient leading up to the trip. They answered all of my questions in no time, which was amazing. 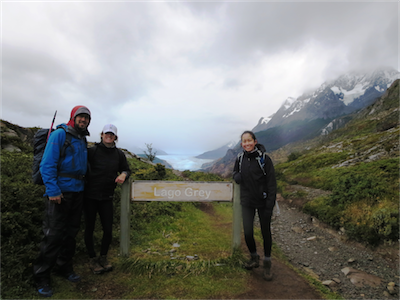 It was also great that although my plane only landed in Punta Arenas on the 23rd at 5pm, they found a way for me to start the Trek on the 24th at 7am. I didn’t have a guide for this trip, but Johanna waited for me until late in the night to give me my vouchers. Seeing the sunrise from Chileno on the 25th of December was my absolute highlight (see picture) although I should have brought my sleeping bag, it was freezing! Do you have any tips for people planning a trip? I found it very useful to have an external battery for my camera, a rope to hang my wet clothes on, and waterproof pants and walking sticks. The headband Swoop sent me is also a great item to take with you! Also, the offer of cheap hostels in Puerto Natales is quite wide, so it is fairly easy to go ahead and book these for yourself. 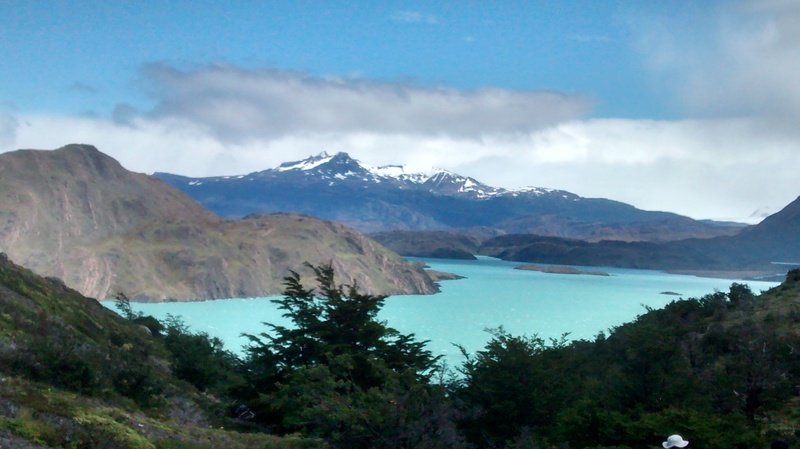 This entry was posted in Reviews, Torres del Paine and tagged accommodation, chile_nativo, Kit, Tips, W_Circuit on 20th January 2015 by Luke Errington. 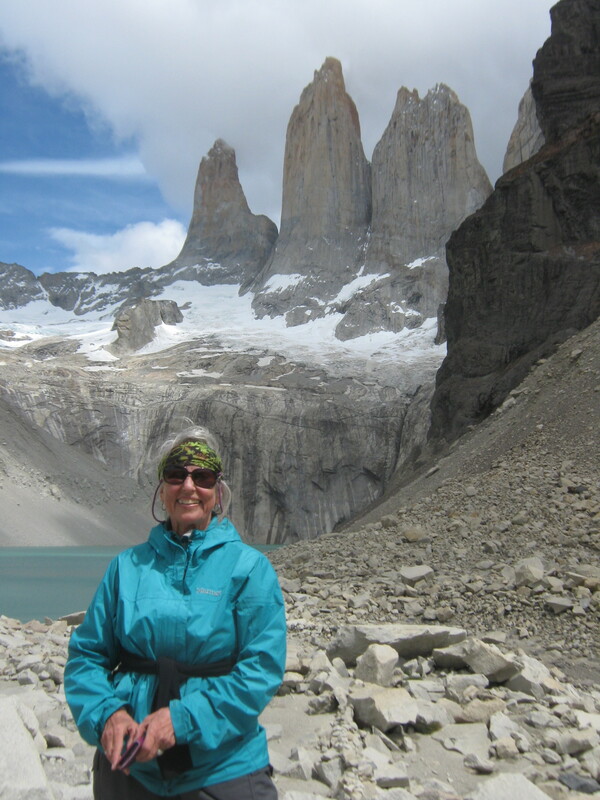 Wallis returned in December from a W Trek in Torres del Paine and some hiking in Los Glaciares. Here she tells us about her experiences on the trip and in booking with Swoop and our partners. 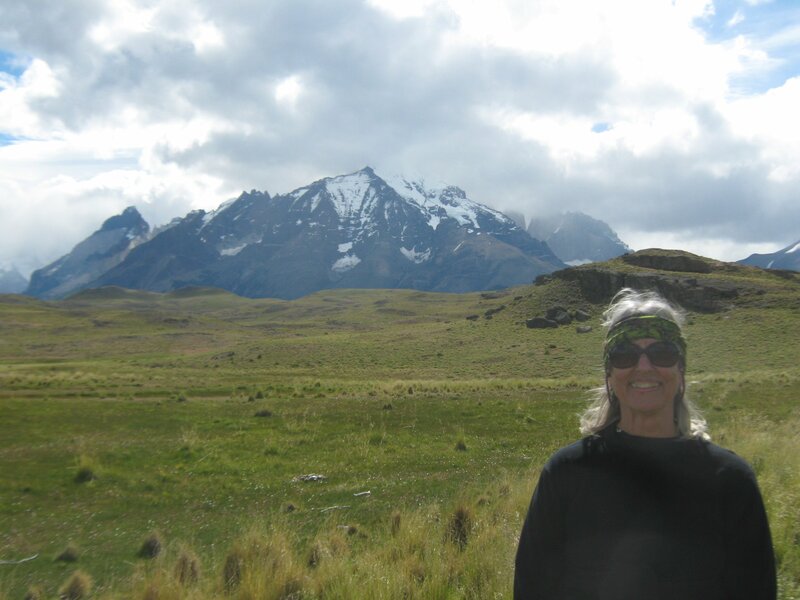 As a 75 year old woman who found aspects of this trip challenging but still hugely rewarding, Walli would like to encourage other people of similar ages to consider a trip to Patagonia. I have wanted to go to Patagonia to hike for about 20 years and just never could find a way to go until now. When first thinking about it and knowing that I just had 3 weeks it just seemed overwhelming! I did some internet research and wrote some emails to organisations that I found. I said that I wanted to go to Ushuaia, some places to hike in Argentina and then go to Chile to hike and end up in Buenos Aires before coming back to Caracas. 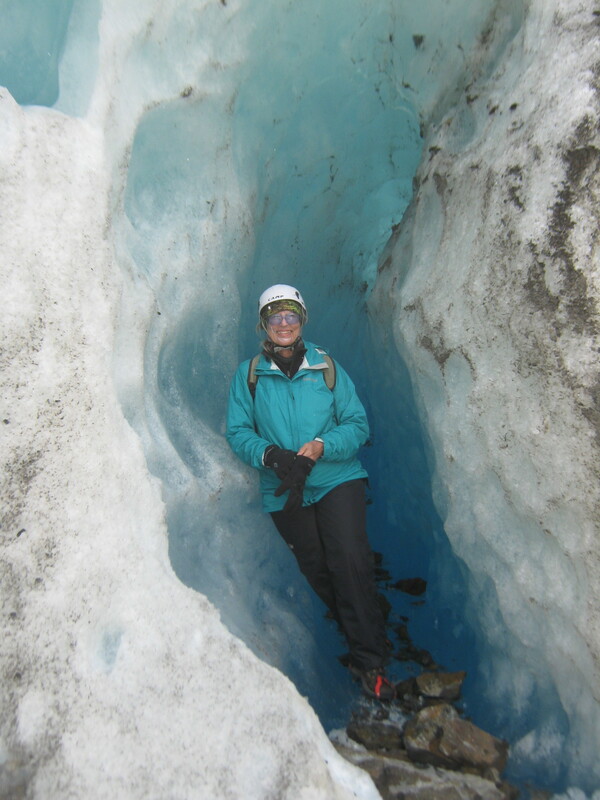 I just didn’t know where to start or how to plan… and then I found Swoop Patagonia! I really enjoyed working with your company and all of you. I felt well taken care of and my questions were answered promptly and there was a lot of good advice on the website. Harriet sent me a very detailed plan of what I could do, mapping out the whole three weeks for me. We adjusted the plan a number of times as she answered lots of questions. She gave me some suggestions for Ushuaia but told me you did not have an operation in that area so I figured that out quite easily and also loved that area. I Wish that you did trips to more places, but narrowing your regions is probably what makes you so good at planning and arranging people’s trips, and makes you real experts at what you do. 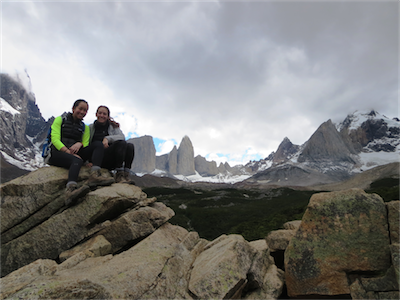 How was your experience with Swoop’s partners in El Chalten? 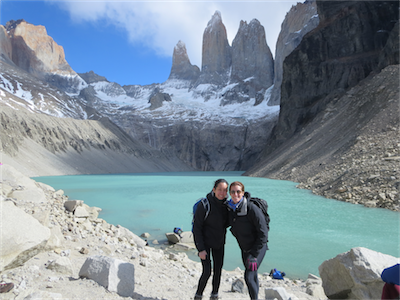 Harriet put me in touch with Swop’s partners Barbara and Zoe in El Chalten, and they did a wonderful plan for me for Los Glaciares. I liked very much the places in which I stayed, very much enjoyed the hikes I took in the area, and all the logistics went smoothly, I wish I’d had time for more! How was your Ice Hike? 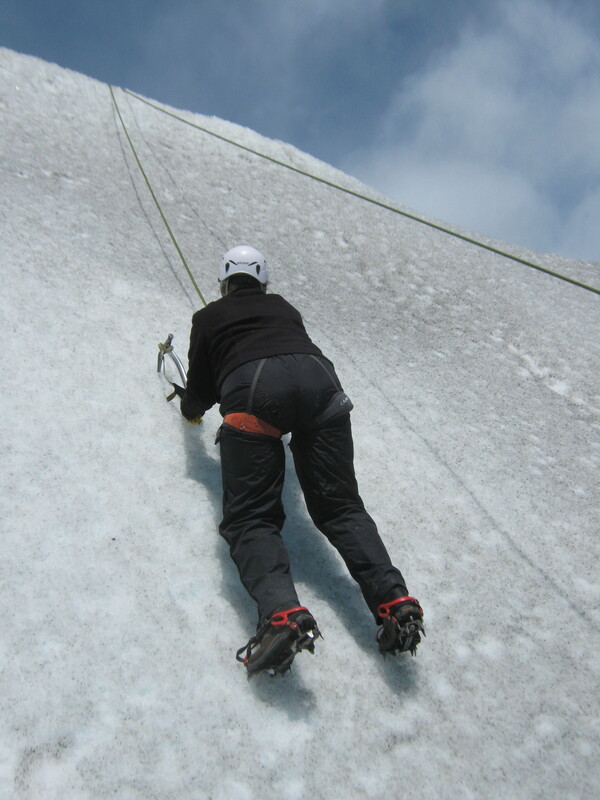 I am so glad that I was encouraged to do the ice climb and not just the trek and am so glad we found a company that did not have an age limit! I ended up doing the hike with two guides, a Canadian couple and a Polish couple. The guides really helped me out whenever I was uncomfortable on the glacier (Juan and Carlos) and everyone encouraged me when I was on the walls. I didn’t do great, but well enough to really have had fun. The only day that I wish I had spent otherwise was the day I went to Lago del Desierto. For me there was too much time spent travelling there and back, and also sitting on the boat (on which I was the only passenger). It was beautiful, but I missed having a more active day. Zoe showed me where to go for a short hike when I got back though, so it all turned out just fine. How was the weather during your trip? 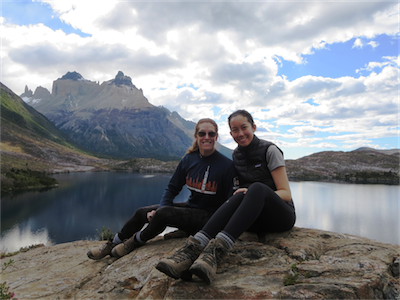 How was your experience with Swoop’s partners in Torres del Paine on the W Trek? Everything thing went well for the W Trek (including the wonderful vegetarian cafe the Living in Puerto Natales). I loved our group, and our guide Izzy was amazing; she could not be a better guide. Everyone got along with and supported each other well, and the rest of the group really encouraged me. I particularly loved the first day where we were able to get so close to the animals. The terrain reminded me a lot of Mongolia. The refugios were comfortable with good food, and Christmas Eve dinner was perfect! The Torres were magnificent!!! We had windy days but basically all clear days…I don’t think that the weather could have been better. By the end of the French Valley I did get a little tired from carrying my pack all day. Everyone went at his or her own rate here, and although I was a little slower, Izzy kindly walked with me. The last day, which included a hike and boat trip, was also beautiful and Izzy carried some of my things for me so it felt like I had just a day pack. I just could not have gone fast enough. The others in the group were cute about my pace…I felt sort of bad about it and they would say…you are NOT slow, you are just slower then we are! It was great at the end to get dropped off at the hostel! Firstly, bring ear plugs when you sleep in refugio dorms! Secondly, know your limits – I am just not able to go very far very fast if I am carrying much more than a day pack over a number of days. When I do day hiking I usually take the minimum…so a regular daypack even seems a little heavy to me. I felt so fortunate to have small groups and great weather. It was just a perfect trip…thank you all for your part in making a dream of mine come true. 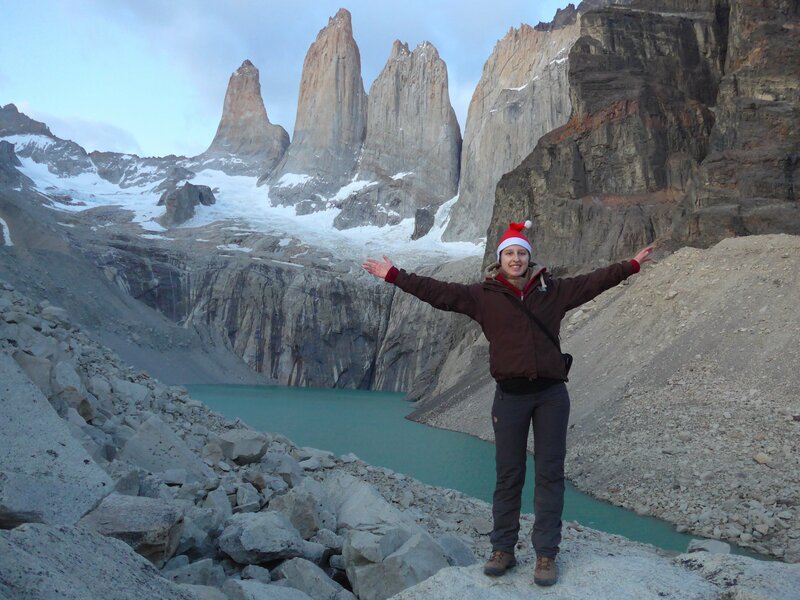 This entry was posted in Los Glaciares, Reviews, Torres del Paine and tagged accommodation, Chalten, Guides, Kit, Los_Glaciares, Tips, Torres_del_Paine, Walk Patagonia, weather on 2nd January 2015 by Luke Errington. I thought that the service you provided was very good – you were helpful with the information you provided and responded quickly to any queries. I thought that the handover to your partners in Chile was done very well and smoothly and that you were flexible in how you communicate with your clients. I would recommend you to any friends looking to visit Patagonia. 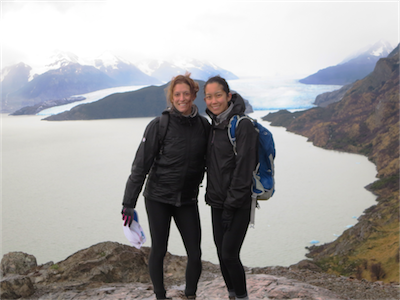 How were our Partners who ran the trek in Chile? Our W Trek was well-organised and professional. In addition to organising the trek itself, the company was helpful in booking us bus tickets to/from Puerto Natales. I thought that the itinerary on the W Trek was great – a good mixture of longer and shorter days and comfortable refuges to stay in. Our guide (Carlos) was excellent – he spoke good English and was friendly and responsible. The only minor comment I have is that we passed by their office in Puerto Natales the day before our trek started as we had not been told where and what time to meet the next day. An email confirming this would have been helpful. I’m not sure I’m able to pick out a single highlight – we really enjoyed the whole trip. We were in a group with three others who we got on very well with – we thought that five was a good number for a group. 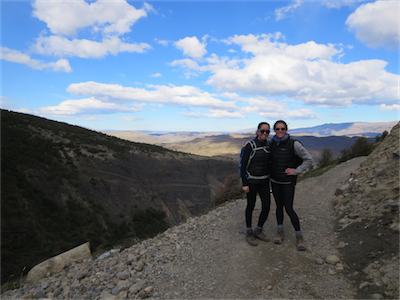 We also visited Buenos Aires, an estancia outside Junin (near BA), El Calafate, the Bariloche area and San Martin de los Andes. I would recommend that people planning a trip make sure that they bring all the recommended equipment as it all came in handy! Also do not carry more that you absolutely need to in your backpacks. 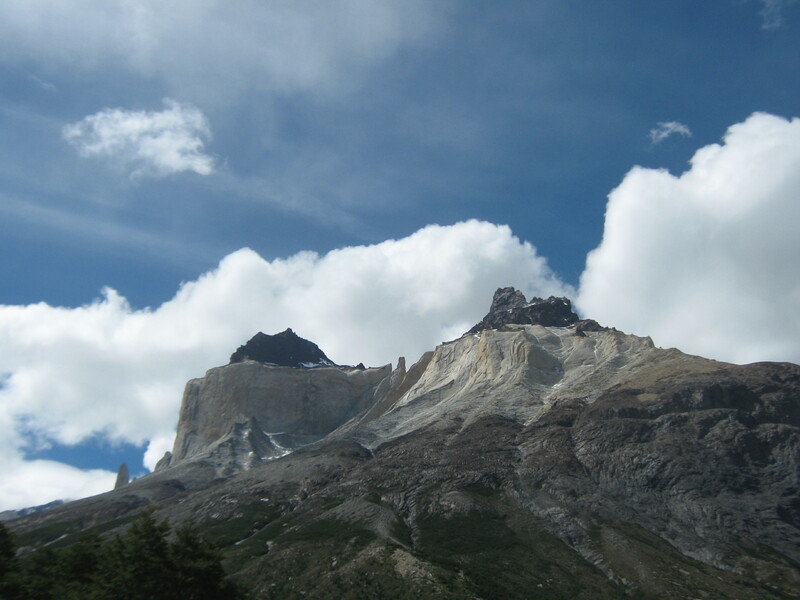 This entry was posted in Reviews, Torres del Paine and tagged chile_nativo, Guides, Hiking, Kit, W_Circuit on 28th November 2014 by Luke Errington. It was a great trip and the Full Circuit hike was excellent. 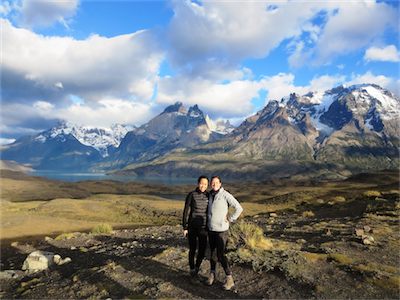 I’d have absolutely no hesitation in recommending Swoop or your partners to family & friends for a trip to Patagonia. In fact, I’ve already recommended you to a friend who is thinking about it for next year. I would recommend ensuring you have the right ‘3 Season’ footwear, particularly if you are going in the Spring as we did. One person in the group had fabric ‘boots’ without a Goretex lining and, after walking through the marshes/mud/snow, her feet were soaking and she developed a blister on her heel. She was just about OK but it could have been a problem. I know a lot of women don’t like leather boots (too heavy/don’t look cool) but you can’t beat them…or at the very least good quality fabric with waterproof lining! Because of when we went, there was snow on the John Gardner Pass. The day of our climb, the weather was unfortunately warm, so the snow was very soft. I know you don’t want to have to put people off, but I guess it’s being frank about the type of conditions that might be faced, particularly early in the season. Gaiters could also be needed in the event of soft snow (e.g. on JG pass). 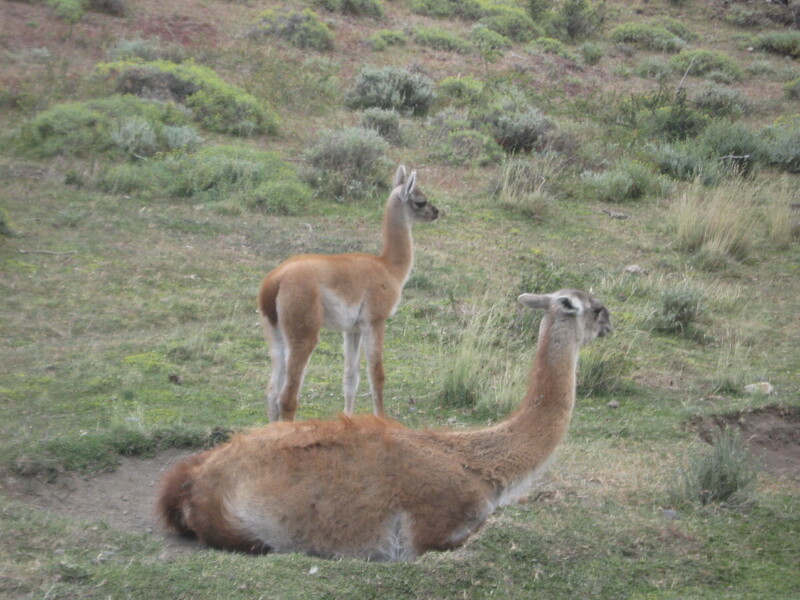 It is customary in Chile to tip the guide and porters for good service. Armando, our guide was excellent, he really went out of his way to be supportive, he gave a lot of help to those who needed it, and made the trek even more interesting by his wide knowledge of wildlife and nature which he shared with us. Some advice on the subject prior to departing could be helpful. I want to thank Swoop for their advice on the itinerary, and working out what was possible with the time I had available (from getting off the boat in Ushuaia to flight back from Santiago). It all fitted together perfectly, I’m glad I did more than just the ‘W Trek’. 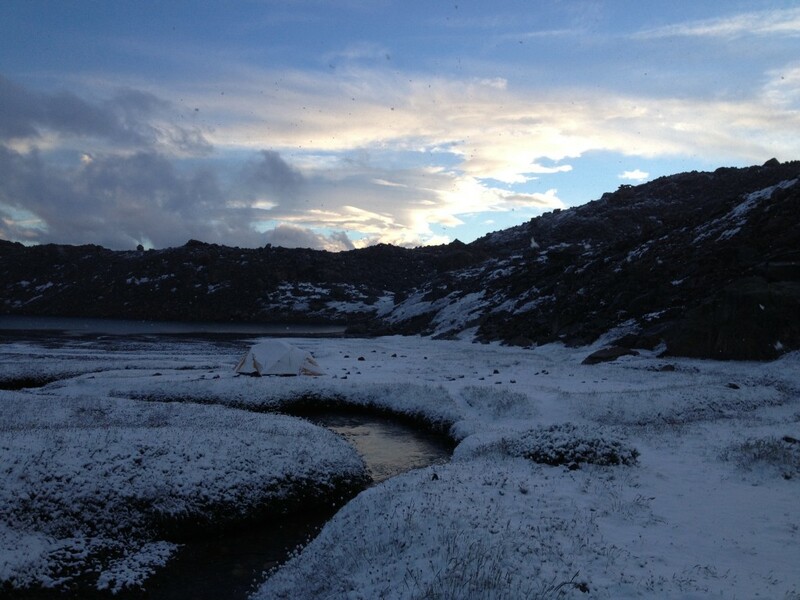 Also your advice on accommodation in El Calafate (La Estepa) and Puerto Natales (Amerindia), both were excellent. 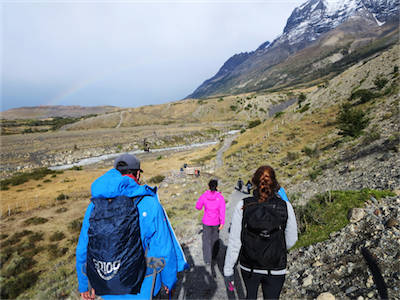 This entry was posted in Reviews, Torres del Paine and tagged Full_Circuit, Kit, Tips, Torres_del_Paine, Trekking on 28th November 2014 by Luke Errington.